Man Utd face Southampton on Saturday evening, and Jose Mourinho is being tipped to make changes to his line-up from midweek. The Red Devils have been far from convincing in their last three outings, falling to defeat to rivals Man City before being held to a goalless draw by Crystal Palace last weekend. A win over Young Boys in the Champions League in midweek followed, but they needed a last-minute goal from Marouane Fellaini to secure victory as they continued to toil. 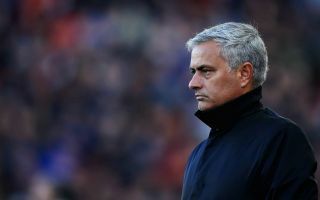 Given that they’re seven points adrift of the top four in the Premier League and 14 points off the pace set by leaders Man City, they can ill-afford to drop any more points moving forward and Mourinho will be fully aware of that. Paul Pogba and Romelu Lukaku were both benched in midweek, but as noted in the touted line-up below, the former could return to the XI this weekend while Lukaku may well have to settle for a place on the sidelines again. Further, as hinted at by Mourinho in his press conference on Friday, summer signing Diogo Dalot could finally make his Premier League debut this weekend, coming in at right-back with Antonio Valencia back on the bench. It remains to be seen how accurate the probable line-up below is, but ultimately it doesn’t look far off considering the options available to the Man Utd boss and those who are in form. What is clear though is that whoever is in the starting XI has to perform as United will be desperate to come away with a positive result and performance given that they’ve struggled in recent outings.